It was recently reported that tetracycline could enhance the mobility of manure-derived Escherichia coli within saturated porous media (Walczak et al. (Water Research 45:1681–1690, 2011)). It was also shown, however, that E. coli from various sources could display marked variation in their mobility (Bolster et al. (Journal of Environmental Quality 35:1018–1025, 2009)). The focus of this research was to examine if the observed difference in the mobility of manure-derived tetracycline-resistant (tetR) and tetracycline-susceptible (tetS) E. coli strains was source-dependent. Specifically, E. coli were isolated from Lake Michigan, and the influence of tetracycline resistance on Lake Michigan-derived E. coli was investigated through column transport experiments. Additionally, a variety of cell morphology and surface properties were determined and related to the observed bacterial transport behavior. Our experimental results showed that, consistent with previous observations, the deposition rate coefficients of the tetR E. coli strain was ∼20–100% higher than those of the tetS E. coli strain. The zeta potential of the tetR E. coli cells was ∼25 mV more negative than the tetS E. coli cells. Because the surfaces of the E. coli cells and the quartz sands were negatively charged, the repulsive electrostatic double-layer interaction between the tetR E. coli cells and the quartz sands was stronger, and the mobility of the tetR E. coli cells in the sand packs was thus higher. The tetR E. coli cells were also more hydrophilic than the tetS E. coli cells. Results from migration to hydrocarbon phase (MATH) tests showed that about ∼35% more tetS E. coli cells partitioned to the hydrocarbon phase. As it was previously shown that cell hydrophobicity could enhance the attachment of bacterial cells to quartz sand, the difference in cell hydrophobicity could also have contributed to the observed higher mobility of the tetR E. coli cells. The size of the tetR and tetS E. coli cells were similar, suggesting that the observed difference in their mobility was not size-related. Characterization of cell surface properties also showed that tetR and tetS E. coli cells differed slightly in cell-bound lipopolysaccharide contents and had distinct outer membrane protein profiles. Such difference could alter cell surface properties which in turn led to changes in cell mobility. SX was supported by University of Wisconsin-Milwaukee and University of Wisconsin Groundwater Research Program (WR10R007). SLB is the recipient of an NIH grant (5R00GM083147-04). We thank Dr. Douglas A. Steeber, Dr. Heather A. Owen, Thomas Schuck, and Steven E. Hardcastle for their assistance. US EPA (2000). 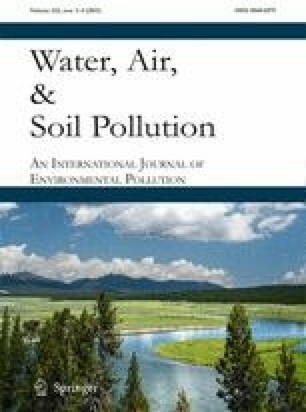 Improved enumeration methods for the recreational water quality indicators: Enterococci and Escherichia coli, http://www.epa.gov/nerlcwww/RecManv.pdf, p. 52. World Health Organization (2003). 1st Joint FAO/OIE/WHO expert workshop on non-human antimicrobial usage and antimicrobial resistance: Scientific assessment, http://www.who.int/foodsafety/publications/micro/en/amr.pdf, Geneva.